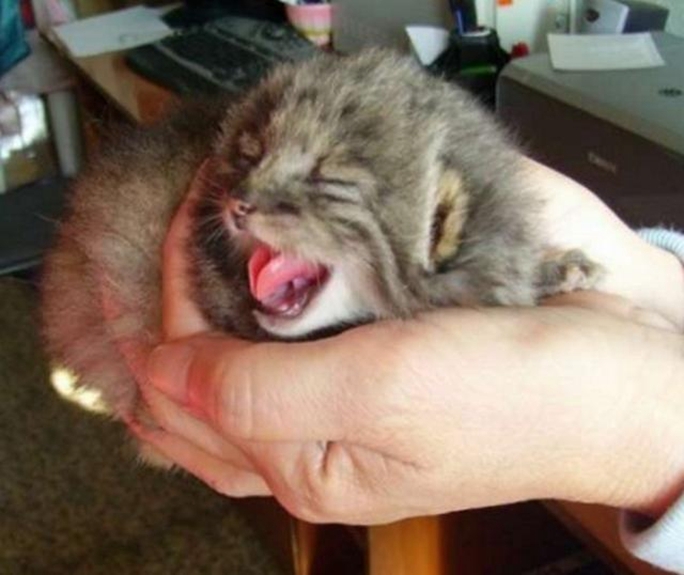 Meet this Russian farmer who once found 4 cute kittens in his barn. It looked like they were newborn and were cuddling together to keep warm. They were very hungry and small enough to find any food so, the farmer decided to adopt these kittens and provided a good home to live in. They do not look like normal household cats as they have a very fluffy body and tail with short legs. 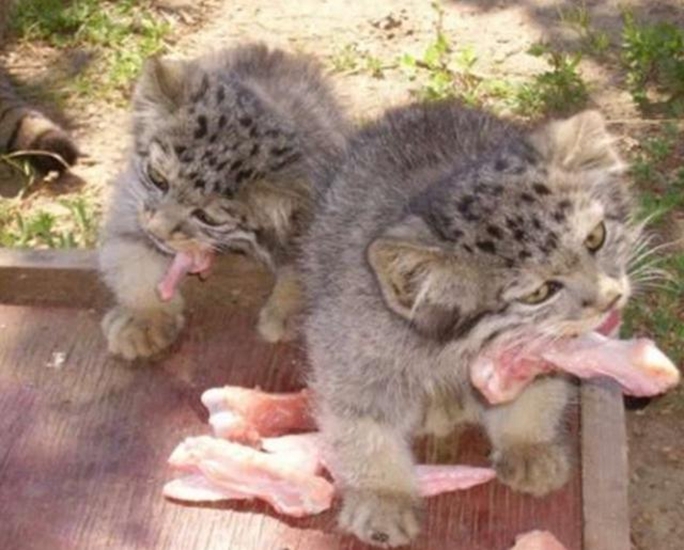 When Daursky soon identify that these kittens were actually pallas cats. 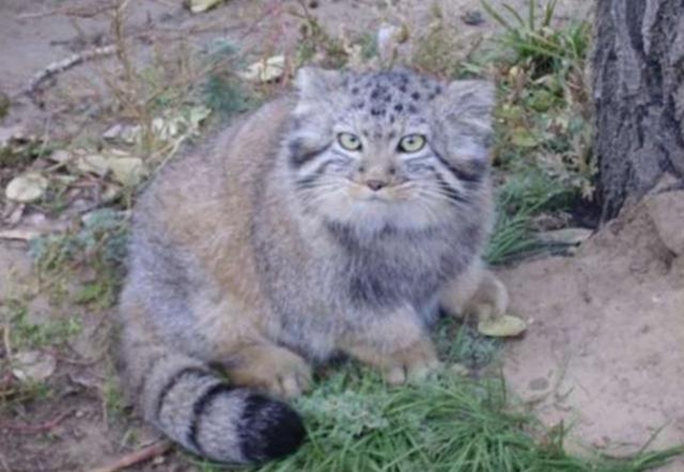 The Pallas’ cat is a small wildcat known for its unusual, and adorable, look: a flattened and rounded face, stocky build, and super fluffiness make it appear stout and plush. 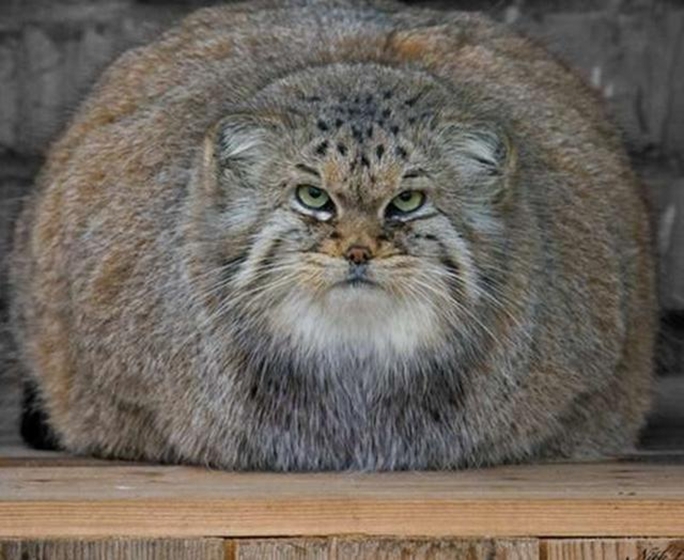 Pallas’ cats appear to be bigger and heavier due to their stocky builds and dense coats. Their fur is nearly twice as long on their belly and tail as on their top and sides. This helps keep the cats warm as they hunt on snow or frozen ground. 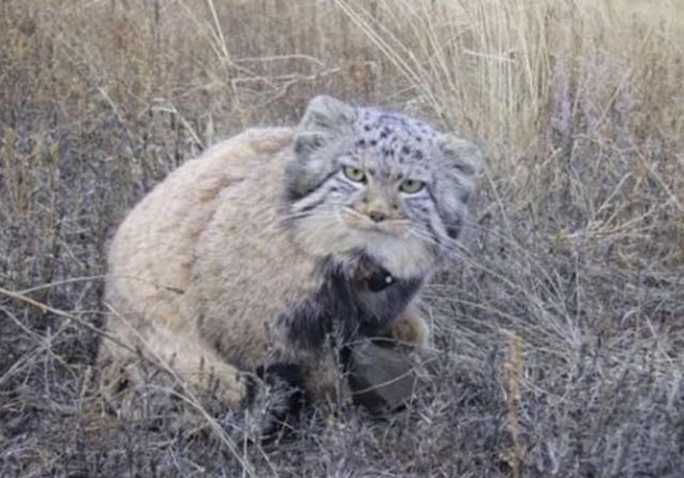 Pallas cats are very rare and this farmer must not rear them at home. The farmer never knew they were such rare animals. They live throughout central Asia, from western Iran to western China. Within this range, Pallas’ cats prefer the cold and arid environments of rocky steppes and grasslands at elevations up to about 15,000 feet. They are solitary and territorial animals. Pallas’ cats spend their days in caves, crevices, and burrows made by other animals, emerging toward dusk to hunt. 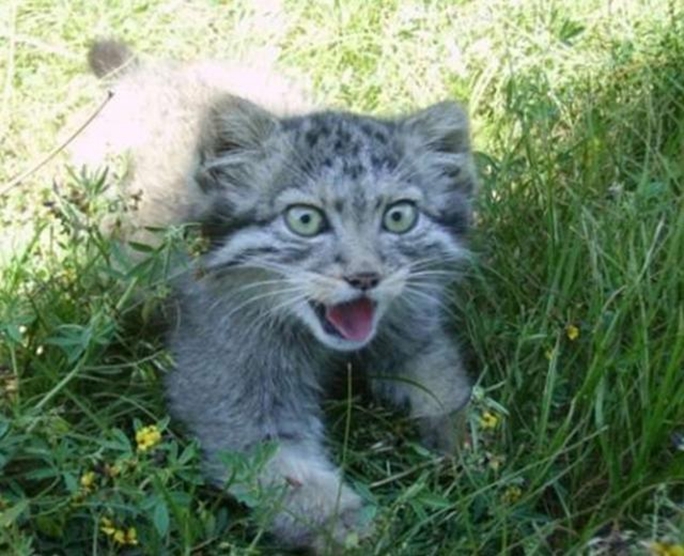 The Pallas’ cat’s compact body makes it a poor runner. They yelp or growl when excited, making a sound similar to a small dog. 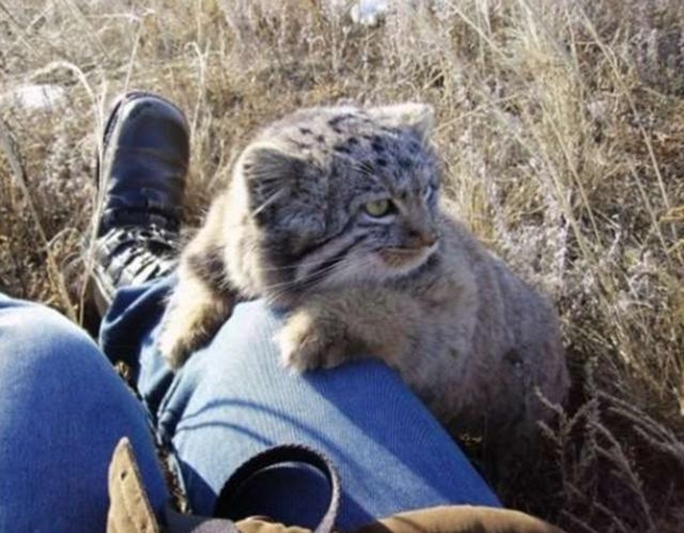 Pallas’ cats can also purr. 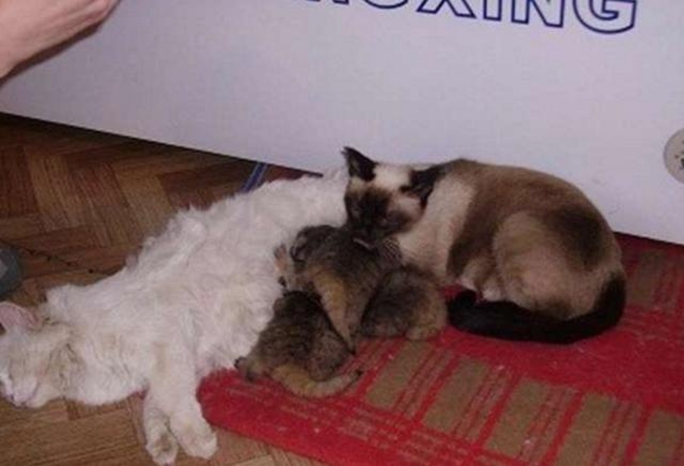 This farmer has raised them from childhood and to him, they are just normal household cats that needed to be loved. After returning them to nature, they will surely remember the kindness of this farmer and the time they spent together.